Frank Thompson, who was the Superintendent of the Oregon State Prison when there were executions in 1996 and 1997, will testify that it was a harrowing experience to be responsible for preparation and carrying out an execution. The good men and women who work in the prison are placed in a situation that few, if any, citizen would want to take on. When life without parole is an option, it makes no sense to have state employees be asked to participate in such an act. The task is made even harder when one considers that there is the possibility that a mistake has been made and an innocent person is executed. 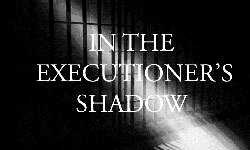 The possibility of executing an innocent person is too high of a risk to undertake. The alternative provides for public safety, punishment for the offender and avoids any possibility of a fatal mistake. Do mistakes happen? There have been 142 mistakes, as represented by the 142 people exonerated after spending many years on death row, for crimes they did not commit. There are many people who believe that Troy Davis was an innocent man, yet the State of Georgia executed him in 2011. Criminal investigators and forensic experts are very sure that Carlos de Luna and Cameron Todd Willingham were innocent when executed in Texas. Have mistakes happened in Oregon as well? There is no claim that an innocent person has been executed here, but changing the most severe penalty for aggravated murder to life without the possibility of parole, makes sure it does not happen in the future.